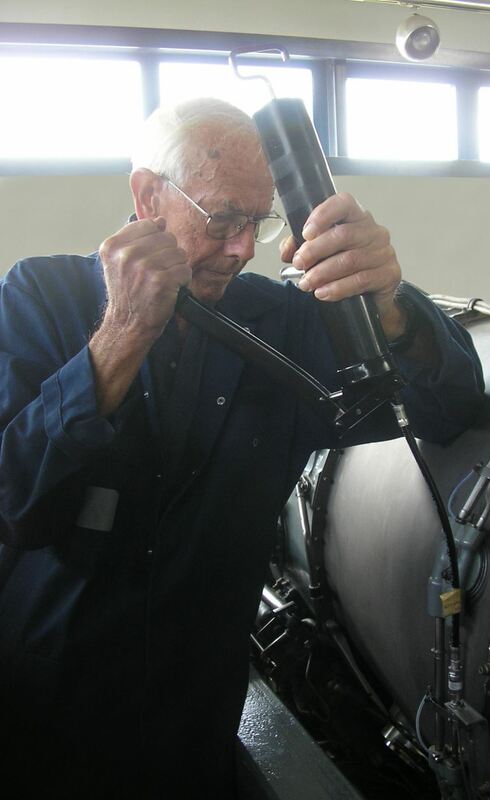 Quicksilver’s propulsion system specialist, Graham passed away on Monday the 20th of August, after a short illness. He was a self-effacing, softly-spoken man with the quiet assurance of one with a lifetime’s experience in his chosen field. Graham served in senior engineering positions in Rolls-Royce during a career of almost 40 years with the company. He was the Deputy Service Manager for the military Spey engine installed in Royal Navy, RAF and South African Air Force Buccaneers and British-built Phantoms in service with the Royal Navy and RAF, then was promoted to Service Manager for the Anglo-French Adour engine installed in Jaguar strike aircraft and Hawk trainer/strike aircraft in service with air-arms across the world – including the Hawks of the RAF's Red Arrows formation display team. His work in these two posts often took him beyond British shores, to the United States, Africa, the Middle East and the Far East. The military version of the Spey was selected by the American aerospace company Ling-Tempco-Vought to power its A-7 Corsair II strike aircraft. Graham was a key member of the Rolls-Royce technical team which successfully brought this about. Subsequently, Graham transferred to the civil-engine side of Rolls-Royce, to the sales department, with responsibility for Africa initially, and then the Middle East, and then finally the Far East, where he played an important role in successful bids which led to several of China's major airlines placing large orders for airliners with British-built engines, rather than American. During this period, Graham and his wife Diana resided in Tokyo, Japan, for four years. In the main, Graham's successes in China involved the equipping of Boeing 757s with the RB.211-535 turbofan. But Hong Kong provided fertile ground, too, with Cathay Pacific selecting the RB.211-524 for its Boeing 747s and Dragon Air purchasing the Trent turbofan for its Airbus fleet. There were also sales of the Tay turbofan to customers of the Fokker 100 medium-range airliner during this time, and Graham renewed his long relationship with the Spey with sales of those to owners of Gulfstream 2, Gulfstream 3 and Gulfstream 4 executive-jets. In spite of his enduring relationship with aviation, Graham was no stranger to things nautical. After serving his apprenticeship at the outset of his career with Rolls-Royce, he chose a two-year stint as a ship's engineer in the Merchant Navy to the obligatory alternative, National Service. In retirement, Graham maintained his close relationship with the military Spey engine, as part-owner/operator of two Buccaneers at Bruntingthorpe Proving Ground in Leicestershire. He remained active in this capacity right up to the early part of this year, and was also a devotedly hands-on railway preservation enthusiast, pouring his huge engineering experience into the restoration of several locomotives, including the Duchess of Sutherland. Quicksilver's Rolls-Royce Spey engines were painstakingly prepared by Graham, who lived close to our East Midlands Airport HQ, in the village of Newton Solney, near Burton-on-Trent. He joined the project in 2007. Announcing his passing, Quicksilver project founder Nigel Macknight had this to say: "Graham had an illustrious career with Rolls-Royce for 37 years, mainly on the Spey, and kept involved with Speys in the years afterwards. There is absolutely no question that Graham had more knowledge and practical experience with the military Spey than anyone alive, anywhere in the world. "More than this, he was a calming influence, a loyal team-player and source of wise counsel if it were ever sought. "He will be very keenly missed and always deeply appreciated."